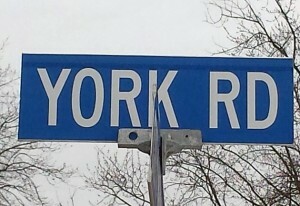 On the surface it’s a rather mundane open house regarding environmental impacts to possible road widening, sidewalks and sewers along the York Road corridor. 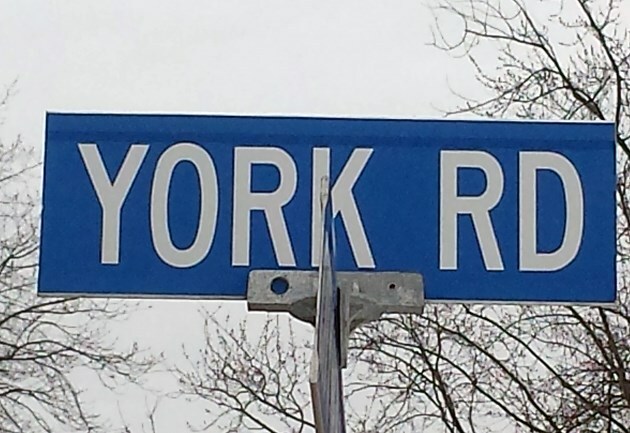 But in the big picture Tuesday’s open house on the York Road Environmental Design Study is a publicly visible sign that potentially big changes are on their way to that area of town. It appears it might be time to throw in the towel on Loblaws bringing a grocery store to Guelph’s east side. 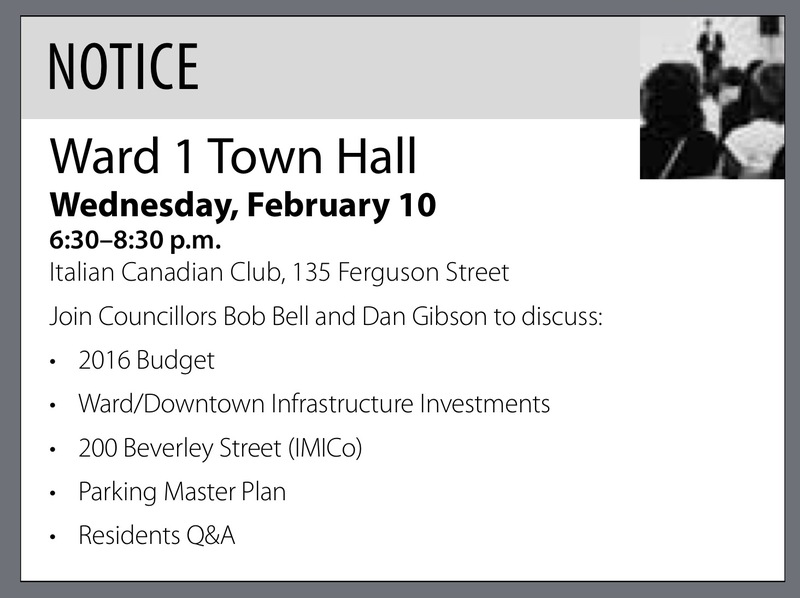 At a Ward 1 town hall meeting Wednesday night, councillors Bob Bell and Dan Gibson sounded like it might be a dead issue. 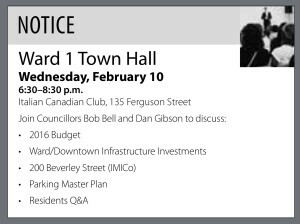 “I’ve given up on them,” Bell told a group of roughly 35 who gathered at the Italian Canadian Club to hear updates on key Ward 1 issues and engage in discussion with the councillors.